Night Time Routines (Life Hacks, Tips, and more! ) 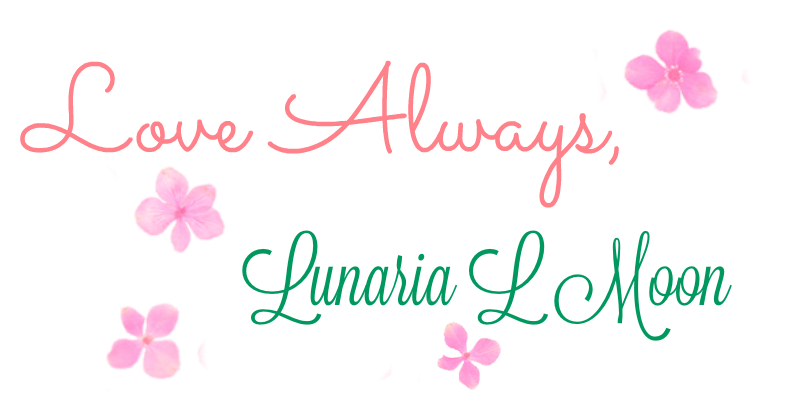 – Royals Lessons! Ciao Royals! Today’s lesson is about another important part of your day- your Night time routine! Your night time routine is important because establishing a good night time routine can affect your sleep, hygiene, grades/productivity, and your overall wellbeing. Establishing a good sleep pattern can sometimes be contingent on what you do at night and after you get home from your daily activities. Some of the things we talk about today you can do in your morning routine as well (like showering/bathing, skincare, etc) but I’m going to talk about them in this routines post. 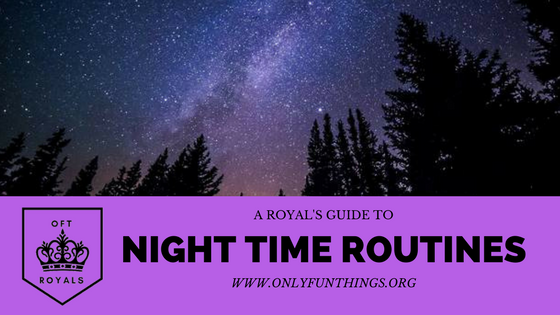 So how do we go about royal-ifying our night time routine? A very important part of your night time routine is what you do as soon as you get home from your day time activities. Shaking off the stress of the day and unwinding is very important! -Let go of any negative energy from the day. Focus instead on what good things happened throughout your day. Write down three good things that happened during your day. Focus on them and focus on a feeling of gratitude that they happened. Remind yourself to take in the good energies of the world and release the bad. -Try some meditation techniques. One that I like is to close your eyes, breathe in and out slowly. With every in breath, imagine yourself inhaling positive energy, with every out breath imagine yourself exhaling negative energy. One tip to make your dinner especially Royal is to have fancy or cute dishes! I like to drink from like wine glasses and champagne glasses and eat off nice dishes when I feel like I need a Royal boost! Sometimes I prefer cutesy dishes and cups- it’s all up to you and what makes you feel the most Royal! I also find eating on a table with a bouquet (even one made of fake flowers) makes me feel more Royal! Truly, you can shower/bathe and brush your teeth at any time of day, but I prefer night time to use the hot water to unwind before bed, and brushing teeth usually happens morning and night. Here are small tips and ways to make your night time hygiene more Royal! -Treat yourself with some fancy soap. Something that can really take bathing to the next level is having some nice soap. This can mean whatever you want it to mean. If nice soap to you is shaped novelty soap, then use that- for me, my “luxury” soap is just a block of small business made goats milk and honey soap. I love the feeling of having “nicer” soap, it just makes bathing feel so much more luxurious. -If you can, take a nice milk bath. A milk bath is done by filling a tub with warm water and adding 1 cup of milk and 2 tsp honey. This kind of bath is AMAZING and makes your skin feel so soft, plus the water feels silky smooth. -I also highly recommend sheet masks! I tend to avoid the charcoal ones (activated charcoal can nullify any meds you are on, as well as usually makes me break out.). I go for masks with cucumber in them for my redness on my skin. Step One- Clean and wash my face, then clean with Neutrogena acne face cleanser pads. Step Two- Use an aloe and green tea moisturizer and toner. I like to keep my routine fairly simple so I’m not putting too many chemicals near my face. (I have sensitive skin as well, so finding stuff that doesn’t irritate it is harder.) Sometimes I will use a mud mask or a sheet mask as well. -Lay out your clothes for the next day. Picking out an outfit ahead of time can reduce stress in the mornings. -Do a quiet craft like making some bows or sewing, embroidery, knitting, or crochet. -Read some chapters out of a good book. -Put some lavender essential oil on your pillow (not on your pillowcase). Putting it on your pillow will allow you to sleep better but avoid putting it on your pillowcase. You don’t want the oils in direct contact with your facial skin, you could break out. -Try to drink some water with lemon before bed to help your stomach break down foods of the day, as well as to make sure you don’t become dehydrated in your sleep. I know if you’ve been reading all the royals posts you’ll notice my theme of “HYDRATE! !” but it IS very important. That’s all for the royal night time routine. I hope you enjoyed reading my royal tips today!